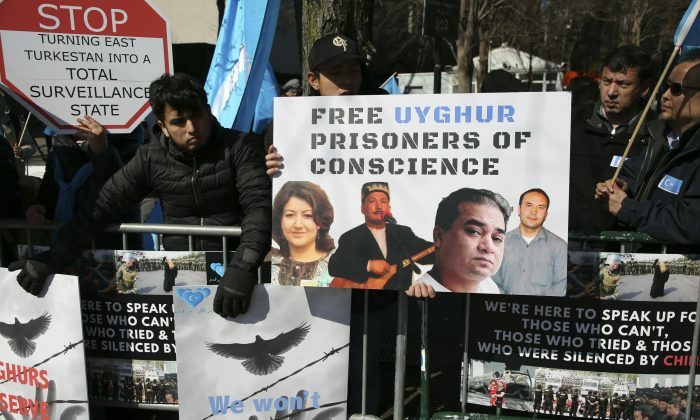 BEIJING—Members of the Uyghur Muslim ethnic group are calling on China to post videos of their relatives who have disappeared into a vast system of internment camps. The social media campaign, launched Tuesday under the hashtag #MeTooUyghur, follows the release of a state media video showing famed Uyghur musician Abdurehim Heyit, who many believed had died in custody. “China, show us their videos if they are alive!” Halmurat Harri, a Finland-based Uyghur activist, wrote on Twitter. He urged the Chinese regime to also release videos to prove that others believed detained are in good health amid reports of neglectful and sometimes brutal conditions in the camps. The Chinese regime has come under increasing scrutiny for the camps, which hold an estimated 1 million minority Muslims in its far west Xinjiang region. Former detainees who fled overseas say that while they were held captive, they were ordered to renounce their faith and pledge loyalty to the ruling Communist Party through indoctrination tactics reminiscent of the Cultural Revolution. Surveillance cameras, security checkpoints and riot police have become ubiquitous in Xinjiang in recent years. In a rare show of public criticism from a majority Muslim nation, Turkey on Saturday called China’s treatment of Uyghurs “a great cause of shame for humanity.” Citing reports of Heyit’s death, the Turkish foreign ministry condemned “concentration camps” and “systematic assimilation” to which Turkic Muslims in Xinjiang are subject. Many Uyghurs outside of China have said they are unable to contact relatives still in Xinjiang. Fearing that their loved ones have been ensnared by the security dragnet, they say they do not even know whether their family members are dead or alive. The mere act of communicating with someone overseas could spur detention, Uyghurs say, and as a result many of their relatives in China have blocked them on social media. On Twitter, Uyghurs abroad posted photos of themselves holding up images of their missing parents, children and siblings. By Yanan Wang. The Epoch Times edited this report.